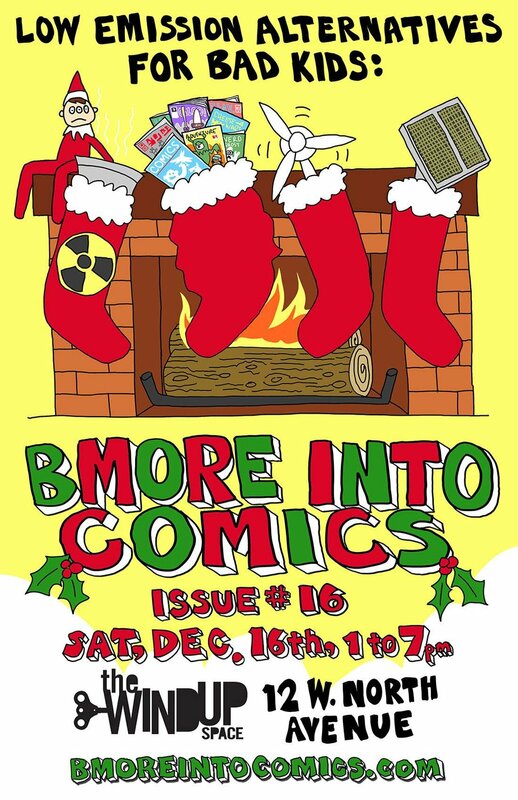 Bmore Into Comics Issue #16! Tis the season to get your cool, creative and one-of-a-kind holiday gifts from our comic books and art marketplace! Local comic book creators show, sell, and talk about their work. Free and open to the public, featuring a Free Comic Book Library and drink specials all day! Older PostThe COMICS PROCESS Art Show begins THIS Sunday!